Taglines: At last! Our screen's greatest achievement is realized! 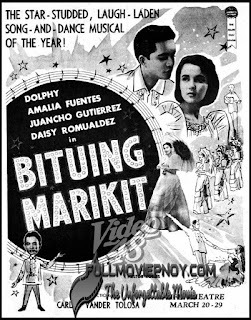 Bituing Marikit is a 1937 Filipino Musical film under Sampaguita Pictures. It stars Elsa Oria, Rogelio de la Rosa, Ely Ramos, Sylvia Rosales, and it is directed by Carlos Vander Tolosa. Sampaguita Pictures was established in 1937 by Pedro Vera. 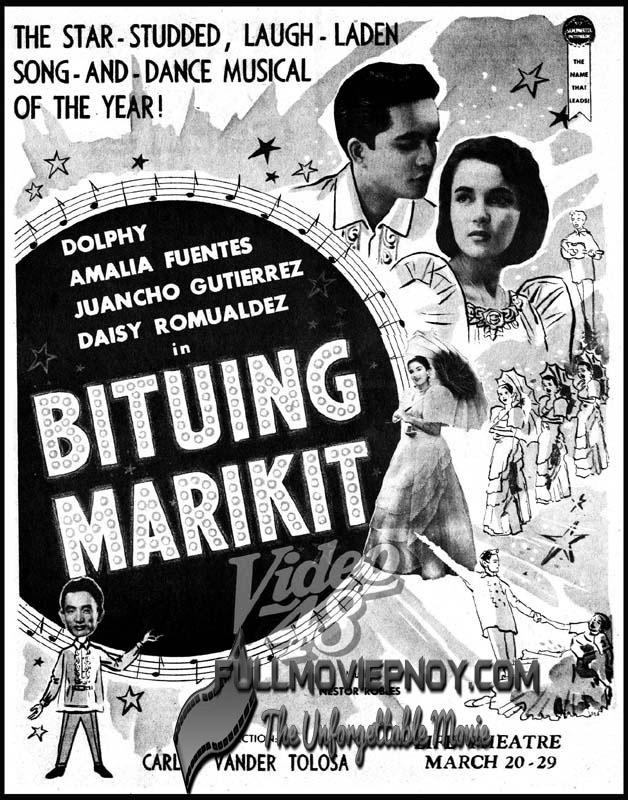 Their first movie, "Bituing Marikit", a commercial hit in 1937, starred the biggest star at that time, Elsa Oria, the Philippines' singing nightingale. The movie, directed by Carlos Vander Tolosa, also starred Rogelio dela Rosa and Ely Ramos.